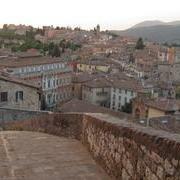 The Noise in Physical System Laboratory is glad to announce the fourth edition of NiPS Summer School devoted to "Energy management at micro and nanoscales", to be held in Perugia (Italy), 8-10 July 2013. The school, supported by European Commission under the FET Proactive research projects NANOPOWER and LANDAUER (www.landauer-project.eu) and the Coordination Action ZEROPOWER (www.zero-power.eu), is open to graduate students, post-docs, young researchers, and in general to all scientists interested in the physical foundations and practical applications of energy harvesting at micro and nanoscales. The School is followed by the international conference NANOENERGY2013, that covers the subject of energy at small scales, a cross-disciplinary field that covers both theoretical and experimental aspects of fundamental and applied sciences ranging from nanotechnology to statistical physics, from computer science to biomedicine.